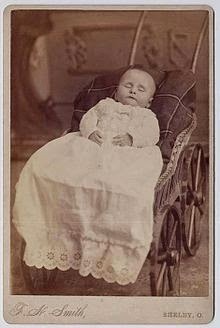 Post mortem photography was popular during the Victorian Era. 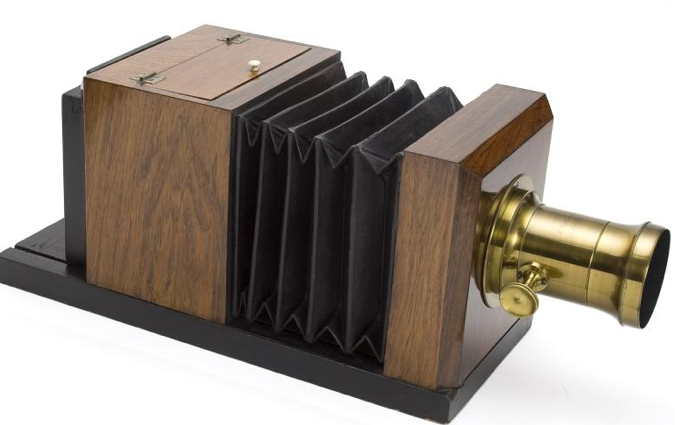 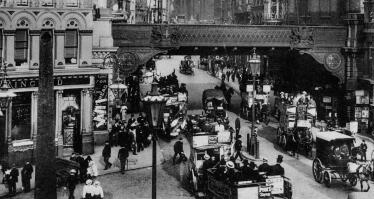 The daguerreotype was the first photographic process for the masses. 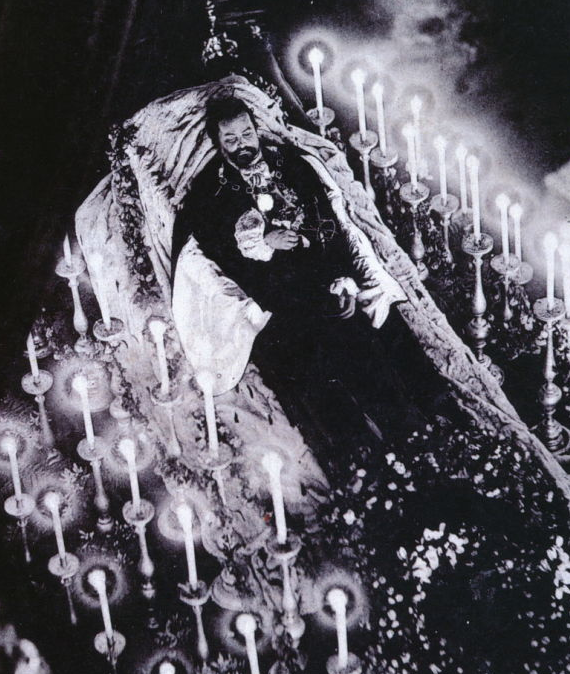 Introduced in 1839, it gave those in the middle class a way to memorialize their loved ones, both living and dead. 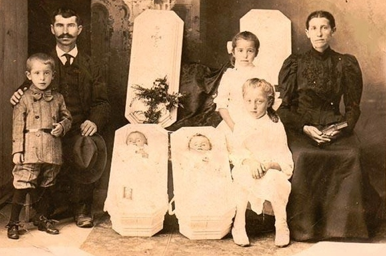 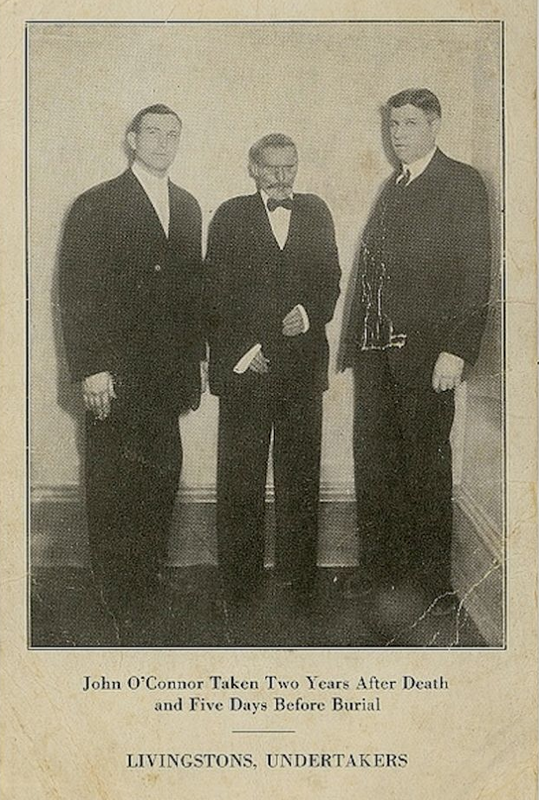 Many families had post mortem photos taken as keepsakes, a way to remember and honor the dead. 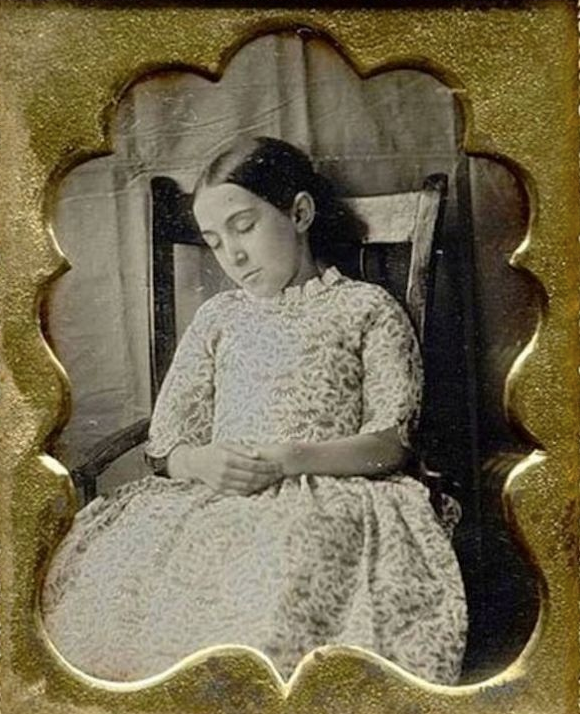 Since photography was fairly new, there were likely no other images of the deceased; this was the only way to capture them as they had been in life. 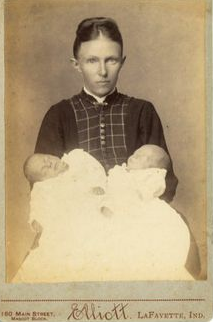 Photos could also be sent to family that lived far away for the purpose of remembering and mourning. 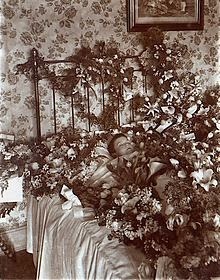 This explains why many of these Victorian death portraits appear to be tableaus: the departed placed in a life-like pose representing a “slice of life” - but taken after someone had died. 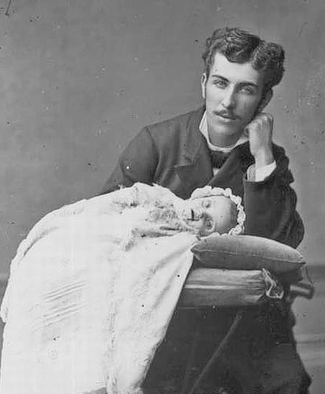 Post mortem photos of babies were especially popular since mortality rates for children and babies were extremely high. 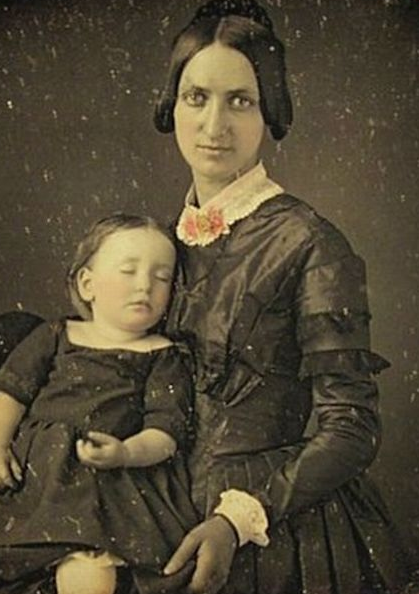 This photograph was all that parents and family members would have to remember their child. 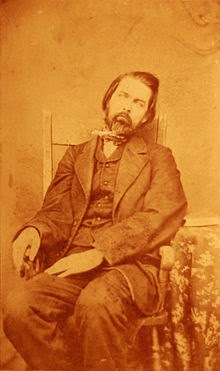 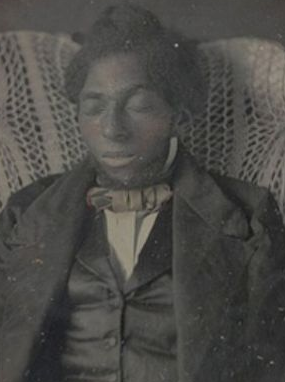 Most early post mortem photos were taken of the face, showing the deceased in a “deep slumber”, but it wasn’t long before full-bodied shots became common with the subjects posed on chairs, couches and beds for their final repose. 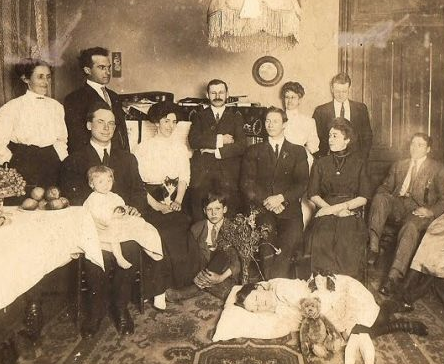 Many times a photo showed a parent holding a deceased child with other family members gathered around. 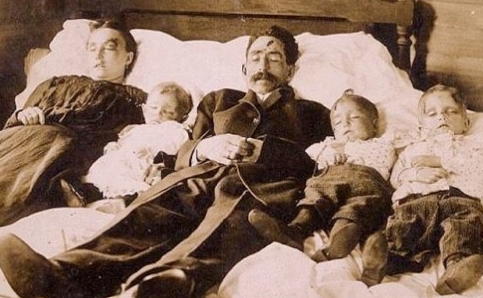 However, one post mortem photo shows an entire family laid out on a bed – all of them deceased. 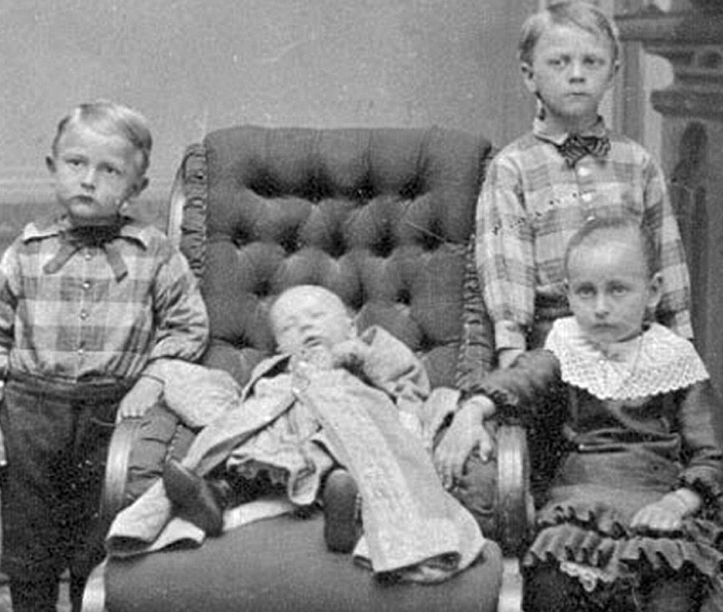 Depending on the photographer, a rosy tint could be added to the cheeks to make the subjects appear more life-like. 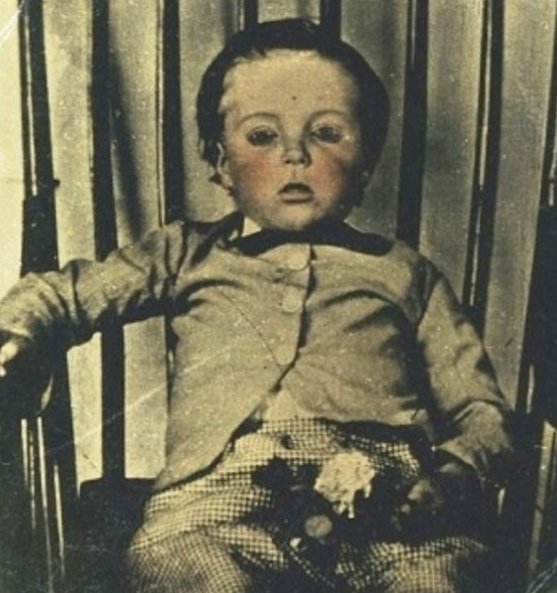 Many post mortem photos were taken with the subject’s eyes open to give a life-like look. 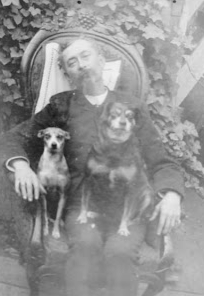 At other times, if the eyes had been closed before the photo was taken, it would be retouched with paint to give the effect of someone alive. 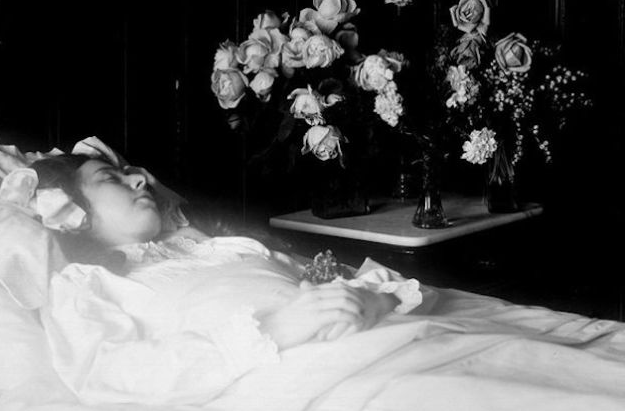 Photos of the deceased in the coffin were not popular until the end of the 19th century, and more so in Europe than in the U.S.
By the beginning of the 20th century, post mortem photos were falling out of favor; people began to find them tasteless and uncouth in this country. 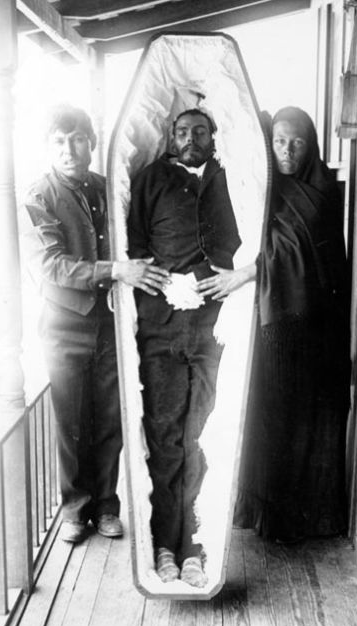 Today, post mortem photos are not desired or considered respectful by many, however some ethnic groups, especially in Europe continue the practice. 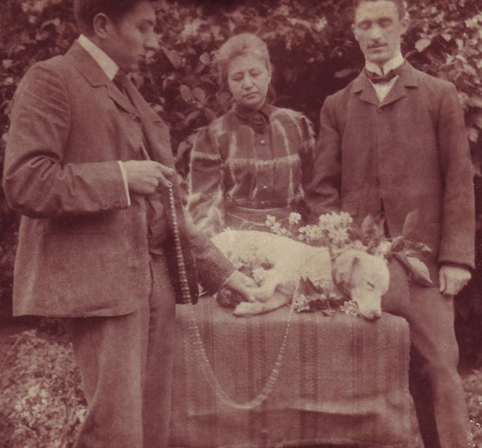 Victorian photos can still be found in antique shops and on eBay – a lasting look at how our ancestors coped with life - in the face of death.